Software Defined Networks (SDN) and Network Functions Virtualisation (NFV) are two complimentary paradigms aiming at realizing the network functions in software only. 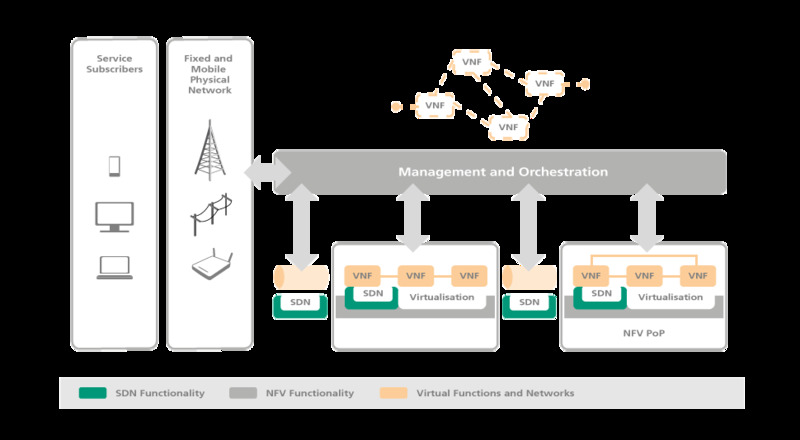 From the SDN perspective, NFV provides the additional management for the deployment of the SDN control applications. From NFV perspective, SDN represents a means for creation of network abstractions and to enable faster innovation. NFV contains three distinct domains which may be controlled by SDN: the network between the physical network components and the data centers, between the data centers and as virtual networks within a data center. 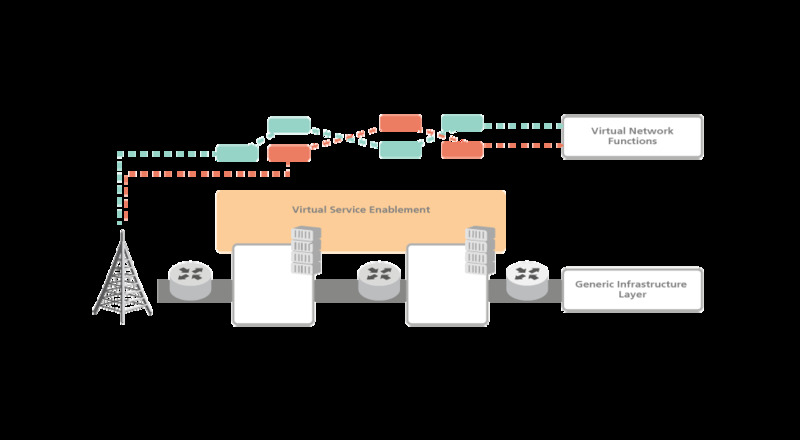 Generic network functions implemented in software and running in virtual machines: Virtualised IMS, EPC, radio and SGi components, home and enterprise networks, Application Servers, etc.